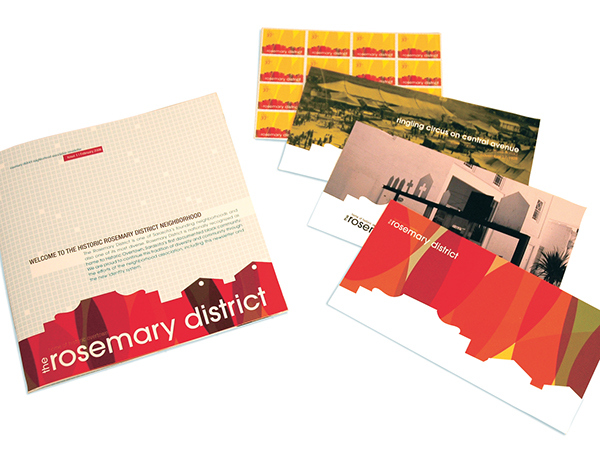 A new Identity for the Historic Rosemary District in Sarasota, Florida. Buildings make an area, they are one of the main factors that contribute to the historical aspect of any place. Today we recognize places around the world based on the famous monuments there. 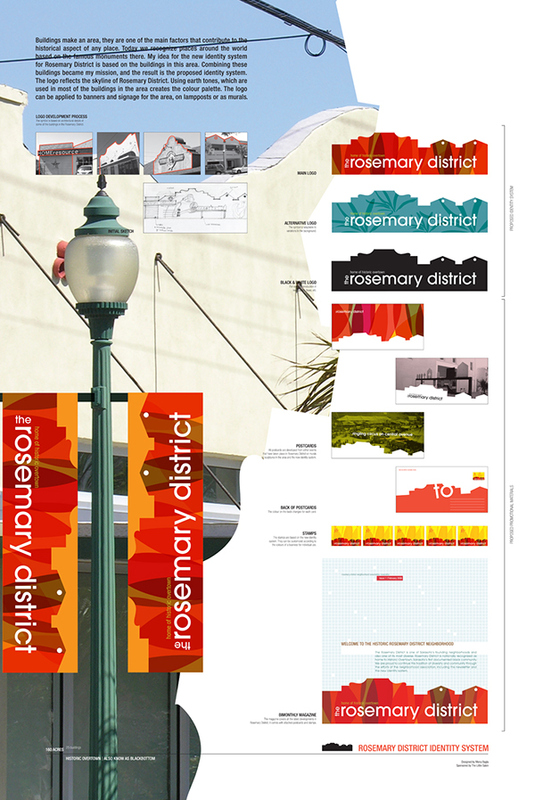 My idea for the new identity system for Rosemary District is based on the buildings in this area. 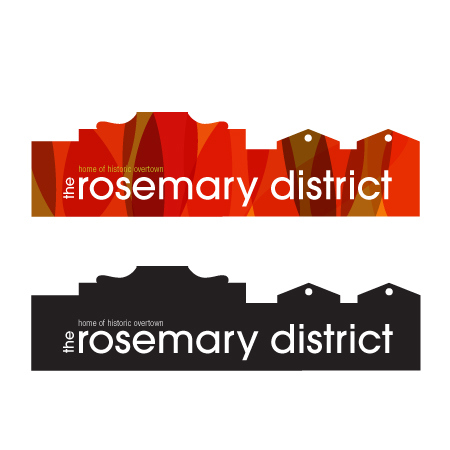 The logo reflects the skyline of the Rosemary District. Using earth tones, which are used in most of the buildings in the area creates the colour palette. This project was among the top 3 finalist at the 2006 Adobe Design Achievement Awards.